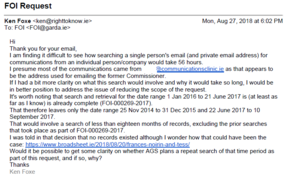 A series of emails between the pair were put into evidence at the Disclosures Tribunal last year. Mr Foxe cannot secure these under FOI. 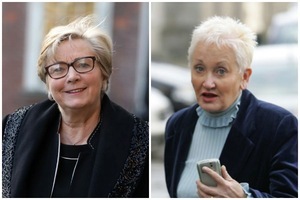 Last year Mr Foxe revealed that the Office of the Information Commissioner had discovered 68 records of correspondence between former Justice Minister Frances Fitzgerald and Ms Prone between May 8, 2014 and March 11, 2017. These were records which the Department of Justice previously said never existed. From 2014 to 2017, Ms Prone wasn’t only advising Ms Fitzgerald. 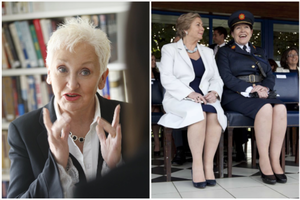 She was also advising the then Garda Commissioner Nóirín O’Sullivan. 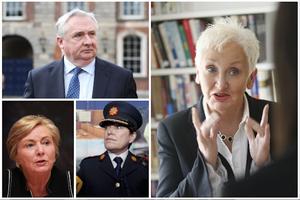 As Ms Fitzgerald was the Justice Minister at the time, Ms O’Sullivan was, on paper, answerable to Ms Fitzgerald. 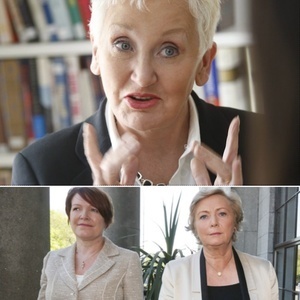 The Disclosures Tribunal saw how statements or draft speeches were written with the help of Ms Prone by Ms O’Sullivan for Ms Fitzgerald concerning issues about Ms O’Sullivan. Mr Justice Peter Charleton described this sequence of events worthy of Myles na Gopaleen’s satire. Posted in Misc and tagged Disclosures Tirbunal, Frances Fitzgerald, Ken Foxe, Noirin O'Sullivan, Terry Prone at 10:38 am on March 26, 2019 by Bodger. Well done, really admire your patience. Don’t let the bastards wear you down. Whenever anything dodgy is going on at state level, this Terry wan is always…inclined to be involved somewhere. I hope this is resolved by the end of May when the disgraced Frances tries to redeem her reputation in the European Parliament elections. Also, well done Ken Foxe, but unless you have Ken’s tenacity, you can see how the powers that be can defeat FoI requests, in my experience, you need a TD as backup to these fuppers when they try to fob you off, that shouldn’t have to be the case. Why do they call her a PR guru because anyone associated with her inevitably ends up stinking as bad as she does? The only worse person I could think to call in a situation that involves the use of a ‘PR guru’ (titter) would be Max Clifford and that’s only because of, well, his own situation & situation. Did something wrong, made terrible decisions – get Terry Crone in, cos that will prove, beyond a shadow of a doubt, how truly amoral and awful a person you are. And she gets paid for it! She’s a guru alright, just not in PR. Why do they call her a PR “guru”? Easy. All the other four-letter words are already taken. Maybe its just a breakdown in communications ?